From the anchorage at Wild Horse Island’s Skeeko Bay, Marlene and I generally go on morning and evening shoreline excursions. We are, pretty much, fair-weather kayakers—going only when the conditions are ideal. And we are, pretty much, shore-huggers—rarely crossing wide open water. We use the Mother Ship for that. 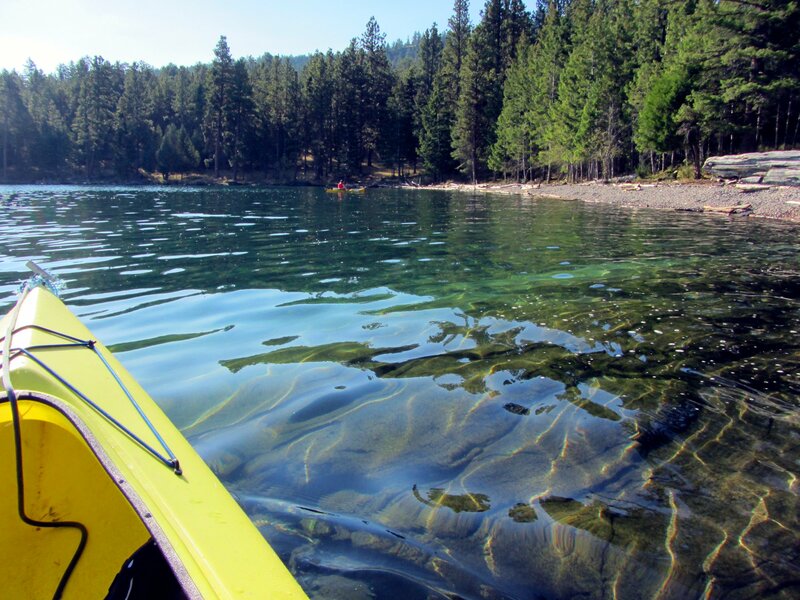 Indeed, the beauty of the kayak—aside from being quiet—is that it allows you to hug the shoreline. 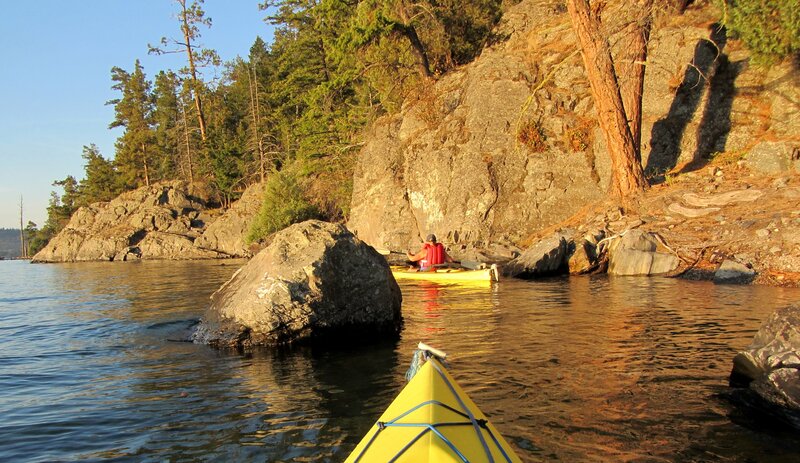 Our kayaks are, what I call “Tupperware,” so we do not worry about scrapping underwater rocks. To be sure, much of the enjoyment is looking down into the swallow crystal clear water and viewing the submerged shore. I am an old BWCA Wilderness canoe guy from Minnesota. Many of Flathead Lake’s rocky shorelines remind me of those voyageur days.